For families and individuals who love wildlife and nature, the best investment is a CROW membership. Members enjoy free, unlimited access to our Visitor Education Center – a vibrant community gathering point that hosts special events and exhibits year round. 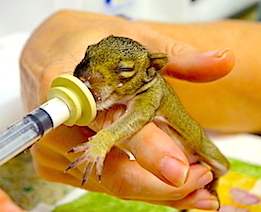 Of course, the greatest CROW membership benefit is the knowledge that you are supporting patient rescue, care and rehabilitation efforts for more than 3,000 wild animals each year. 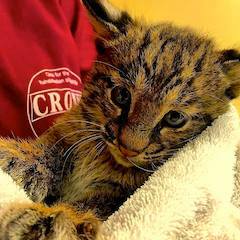 CROW protects our area’s most treasured wildlife residents, and we are only able to do so because of your the generous support of our patients. All Memberships are renewed annually on the anniversary of the gift. Each Member receives a 10% discount on CROW Gift Shop purchases, a free subscription to “As the CROW Flies” newsletter and monthly eNewsletters. Songbird $50: One one-year Visitor Education Center (VEC) membership and 10% off Wildlife Walk. Shorebird $100: Two one-year VEC memberships and 10% off Wildlife Walk. Hawk $250: Four one-year VEC memberships, two discounted guest passes and 10% off Wildlife Walk. Otter $500: Six one-year VEC memberships, four discounted guest passes and 10% off Wildlife Walk. Great Horned Owl $1,000: Hospital tour with Rehabilitation Manager, six one-year VEC memberships and four discounted guest passes. Sea Turtle $2,500: Invitation to a wildlife release, hospital tour with Veterinary Intern, six one-year VEC memberships and four discounted guest passes. Eagle $5,000: Invitation to a wildlife release, hospital tour with Executive Director, six one-year VEC memberships and four discounted guest passes. Presidents Circle $10,000: Private hospital tour with Hospital Director, invitation to a wildlife release, annual reception, six one-year VEC memberships and four discounted guest passes. For more information, please contact us by email or at 239.472.3644, ext. 232. Invest in a CROW Membership Today and Make a Difference!